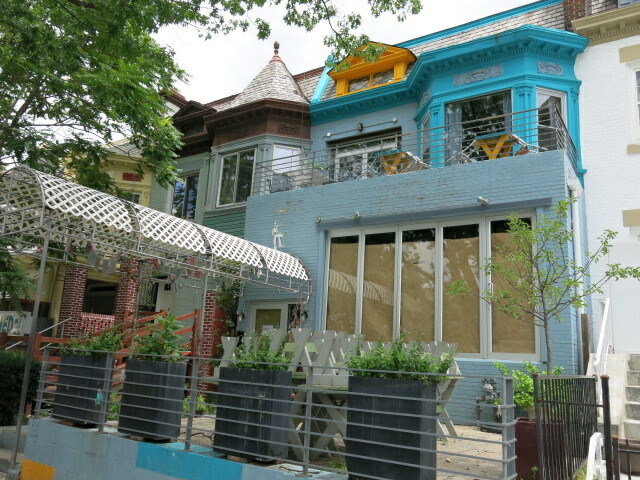 PoPville » The Airedale Gastropub and Beer Garden opening this August in Columbia Heights! The Airedale Gastropub and Beer Garden opening this August in Columbia Heights! “I thought I’d get in touch with you to share some more information about The Airedale. My name is Ben Jordan and I’m the owner and my business partner is Baback Salimi formerly of Quarry House Tavern. We plan on being open in August and we’re excited to tell you about all of the things we have going on. Our bar program includes prosecco based cocktails, European classics like the Aperol spritz, French 75 and the Pimm’s Royal Cup as well as our own creations. The selection of spirits will be quite whiskey-forward with ryes and bourbons being well represented at all price points. We also plan on serving an Old Overholt soft serve, each serving containing a full shot of rye. We will offer an entire range of classic, handmade cocktails as well. There will be 15 beers on tap and we will make our own Radler (don’t worry we’ll have Stiegl too). The menu is classic European bar and cafe food served a la carte. The focus is on authentic, accessible pub and bar food from across Europe with one or two local favorites added as well. I have attached a preliminary menu for your consideration. Check out their menu after the jump.